The Belmont has been part of the hotel scene in Leicester for many years. Located on the picturesque New Walk and with their restaurant Windows overlooking the walkway, it’s ideally situated close to the city centre, but away from any hustle and bustle. Given its proximity to the train station we’ve often recommended the hotel to visitors coming to Leicester, but with the new refurbishment that’s just taken place we thought it was the ideal opportunity to check it out and see just how good that recommendation was. The Belmont is undergoing an extensive refurbishment throughout and this was evident in the room that we were shown to when we checked in. Personally, my favourite part was that the windows overlooked New Walk so I could spy a couple of my mates walking home from work, but that aside the room was decorated to a very high standard, with brand new bathroom suite, flatscreen TV and an enormous bed that you sunk into like a cloud. The hotel offers fine dining in their Windows Restaurant, which has just been transformed under their new head chef. You can read more about that here. Our starters including a puff pastry tart with wild mushrooms, truffle oil and poached egg alongside ham hock terrine and quail scotch egg, which were beautifully presented and, whilst it was a quiet night in the restaurant, the service couldn’t be faulted. The mains offered an excellent selection of fish, meat and vegetarian options and, trying to choose something different, we sampled the slow roast rabbit leg stuffed with chorizo and chicken, wrapped in pancetta served with cabbage and red wine sauce. Big thumbs up. A lot of different flavours within it, but a lovely dish and certainly not something that I’d ever knock up at home. With us also going for the rib eye steak, this was served with hand cut chips, salad and house dressing and displayed their ability to produce good, simple, home cooked food too. The rib eye got given an 8.5/10. Windows offer lunch from just £14.95 for 2 courses and come highly recommended for a family escape, lunch work meeting, or an afternoon off with the girls. Make sure you check out the dessert menu too. The sticky toffee pudding and coffee sauce proved too tempting to resist. The coffee sauce even goes into the top best things we’ve ever tasted. For hotel guests there is also a good room service menu that’s served 24 hours and, unlike many hotels, doesn’t break the bank. Given the hotel’s location close to the city centre this means you’re more than able to go into town and enjoy a show at the theatre, or meet with friends, and know that you can still have food once you’re back in the comfort of your room. Whilst the hotel has undergone refurbishment it isn’t fitted with air con, but the hotel have gone to good lengths to ensure that this isn’t an issue with rooms coming equipped with fans to make sure you have a comfortable night’s sleep. Obviously you’ll have a good night’s sleep though, as I said before, the bed is like a cloud. On browsing the website afterwards we also discovered that the hotel offers dog friendly accommodation too, bonus! Breakfast is again served down in Windows and the continental selection offers pastries, cereal, fruit, yoghurt, toast and more, alongside a menu of hot dishes. 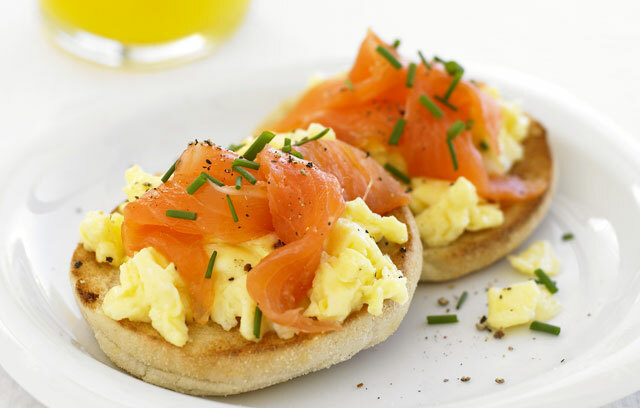 Full English is accompanied by options such as smoked salmon and scrambled eggs, with quick service if you happen to be in a rush or on your way to a meeting. Whilst the refurbished hotel facilities at The Belmont stand out as one of Leicester’s better overnight options, for those just looking to pop in for a drink, lunch of afternoon tea, then Jamie’s Bar has also just undergone a major refurbishment and looks better than ever. 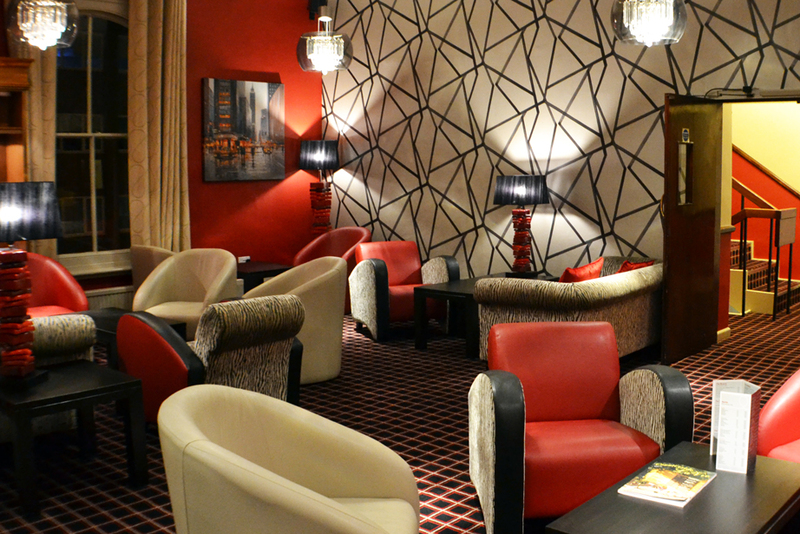 Jamie’s is a welcoming environment for an afternoon stop off and the perfect meeting place. Looking for somewhere to enjoy the Rugby World Cup? One of the rooms has TVs installed for this purpose and plenty of comfortable seating away from the hustle and bustle of manic city centre pubs. Check out the bar menu here and be sure to pop down to check it out. TIP: Between 5 and 8pm on Fridays they do half price Prosecco… just saying. Overall The Belmont far exceeded our expectation during the overnight stay. 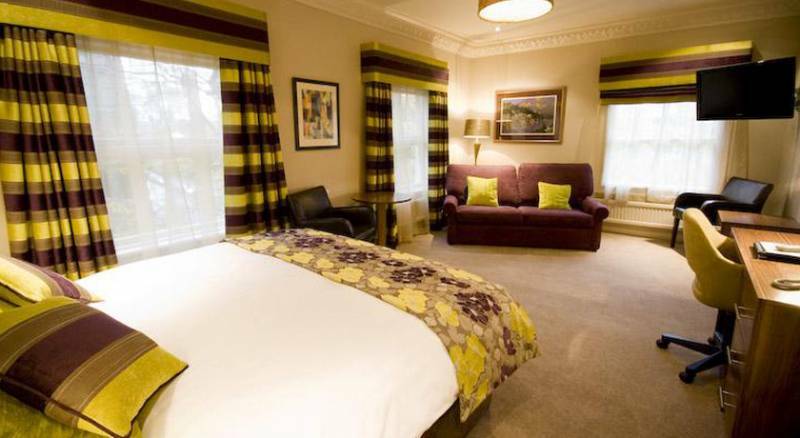 The refurbished rooms are very welcoming, and whilst the floorboards along the way may squeak a little it’s the character that makes this hotel what it is, and the original features paired with the new furnishings have kept that charm. 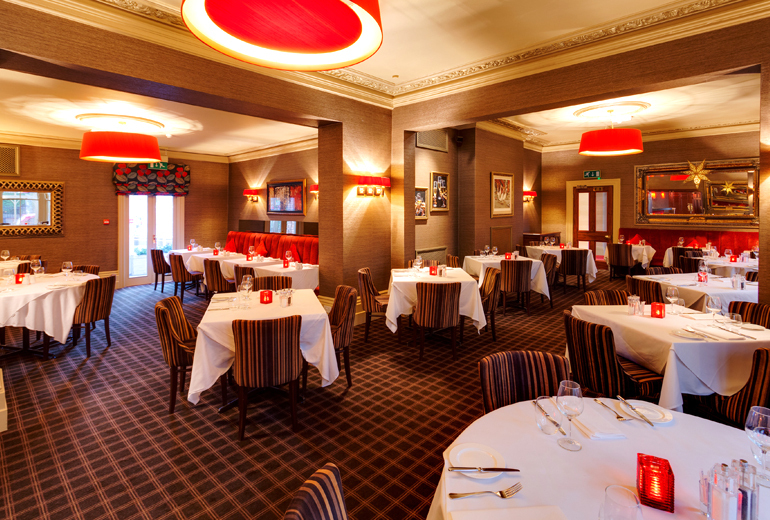 Whether choosing an overnight stay or a special meal out with your partner, parents or friends, The Belmont have a range of packages and dining options to suit. 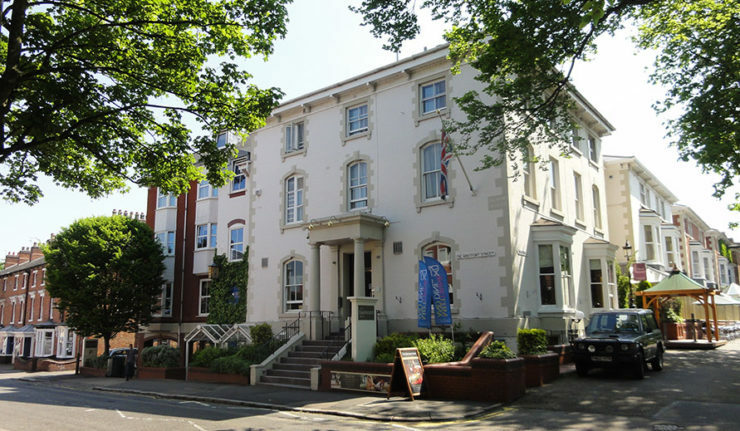 With a wonderful independent vibe it’s an asset to the Leicester hotel scene. For full info on The Belmont Hotel, including overnight stays, dining options and function rooms, please visit The Belmont website. *We were invited as guests of The Belmont but all opinions are our own. There is such a thing as a free breakfast!